In case you haven’t heard, the government recently increased ABSD (Additional Buyer Stamp Duty) rates by 5%. In dollar value, that can translate to a high 5 or even 6 figure amounts for property investors and upgraders! Naturally, many were shocked by the news (me included). Especially since it came without prior warning. This “bolt from the blue” even sparked a mad rush to buy property, as investors had less than 6 hours to purchase before the new rates kicked in. You may think I’m being dramatic. But I’m not. I saw the chaos for myself. First hand. Among investors, developers and us agents. It truly was a monumental moment for me. Never had I experienced such wild scrambling before! Because that was the day the news broke that ABSD would be increased by 5%. I was actually having a nice dinner with my girlfriend that fateful evening at 7pm. I had finished my appointments for the day, and was looking forward to a nice, chill and stress-free time. Those plans were torn up to shreds by a sudden deluge of Whatsapp messages and calls. My phone was ringing and vibrating non-stop. All those communications were about one thing – the ABSD. Many of my clients had descended into panic. It was up to me to stem the tide before things got out of control! I spent the next few hours speaking to my clients. Most of their portfolios were not too affected by the ABSD increment. Those who were affected, I re-assured them that I would come up with a new strategy moving forward, to ensure their property purchases would still be viable. My approach to this whole matter was simple but effective – Keep Calm. No one can know for sure at the time, what the fallout from this would be. Of course, there were a lot of rumours and here-say flying around. But to act on those would be unwise and rash. Like gambling. Not my style at all. I advised all my clients to wait and see. Wait for the market to settle. Wait for the dust to clear. And after that, calmly evaluate what your next move should be. Like I said, simple but effective. This client of mine had been eyeing a particular condo unit. The previous week, I had just brought him to the show flat for a quick tour. However, I told him that at the time, it was not the right moment to purchase, due to certain factors in his situation. I promised to monitor the market closely, in case a purchase opening came up. He was more than happy to agree. But that ABSD announcement threw all our well-laid plans out the window. When I called him that evening, he was actually driving to the show flat. 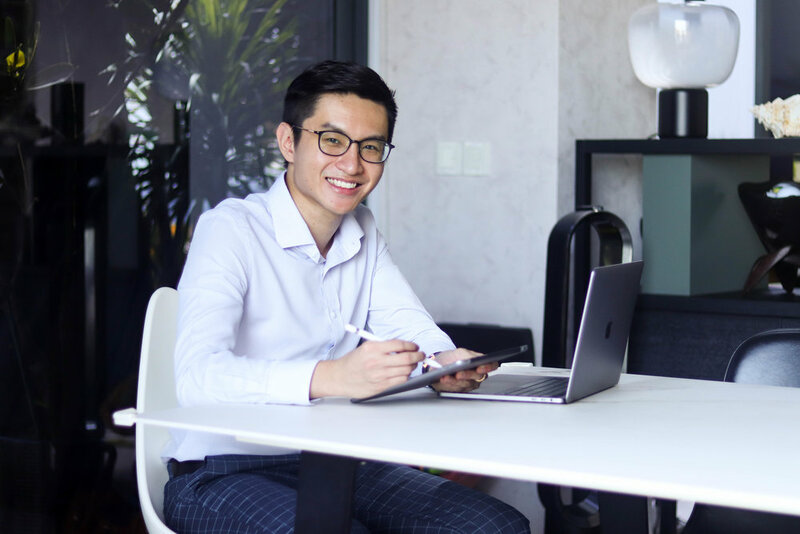 Just like many other investors, he wanted to submit his cheque, sign the agreement and make his condo purchase before the new ABSD rates kicked in. I tried telling him to calm down. Relax. Take a breath and don’t make a knee-jerk decision just like this. Because this isn’t the right way to invest in property! Don’t take action unless you have all the facts on hand. Otherwise, this is simply speculating. I said all that. And more. I tried. I really did. But my words fell on deaf ears. He insisted that “don’t invest now then no chance already”. It was around 11pm when I reached the show flat. The whole place was like a “pasar malam”. Everyone shouting, pushing and shoving to get ahead. Finding my client in a sea of chaos was not an easy task. I even suffered a few bumps and bruises trying to navigate the crowd! “Mr Chong, don’t react to the market and invest because of this news. It’s too soon to know the exact repercussions of this ABSD hike. Thankfully, the face-to-face approach worked. We threw the application form away. No more panic buy! Instead, we went somewhere nearby for prata and teh tarik! The fundamentals of buying property is no different from other investment platforms like stocks, forex, options etc. If you know what you’re doing, if you did your thorough research, if your decision is backed by data and analytics… go ahead and buy. If you’re only buying because somebody told you to, or you’re reacting to negative news (like this ABSD case), then please do not take action. In summary, no matter what property you buy, purchase within your knowledge boundary. If not, you’ll just be rolling the dice. Taking a punt. Hoping lady luck favours you. In the case of my client, I really did not know at that particular moment, whether it was a good or bad decision for him to buy. That’s why I told him to hold off. Don’t know, then don’t buy. Don’t “anyhow”. Don’t gamble with your hard earned money. Considering the high amounts of money involved in a transaction, losing the gamble will be a big hit on your finances! If you’re a busy professional who does not have time to do extensive research on your property options, I got your back. If you want to find out how this ABSD increase will impact your property purchase decision, I got you covered. If you’re looking for any other property-related strategies, insights and advice, I got what you need! Feel free to contact me by Call/SMS/Whatsapp at +65 8333 7213 or via email at me@jimtay.com.